Etymology: Named for Hartmut Mohr of Wettenberg, Germany. Cribb postulates that this taxon is a natural hybrid between Paph. bullenianum var. celebesense and Paph. javanicum. 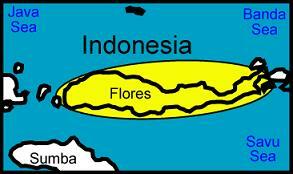 However, it seems to have closer affinities to Paph. mastersianum than Paph. javanicum. A natural hybrid between Paph. bullenianum and Paph. mastersianum seems a definite possibility. A cytological examination would go a long way in placing this taxon. Braem, G.J. 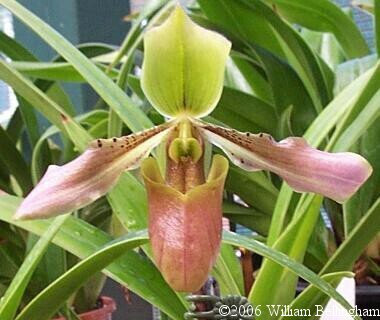 "Paphiopedilum mohrianum, A New Slipper Orchid from Flores Island, Indonesia." Orchid Digest 53, no. 2 (Apr/Jun 1989): 72-75. Primary Hybrids - listed by the RHS as the natural hybrid Paph. javanicum x Paph. bullenianum, no hybrids have yet been registered.